Home > Shop By Brand > BLACKFIRE Pro Detailers Choice Car Care Products > BLACKFIRE Interior Cleaner 32 oz. > BLACKFIRE Interior Cleaner 128 oz. 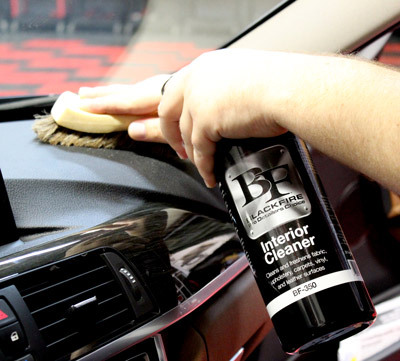 BLACKFIRE Interior Cleaner easily dirt, dust, and staining from interior all auto surfaces. So far my favorite cleaner. Safe on all surfaces, you can see the grime drip off. Absolutely amazing!